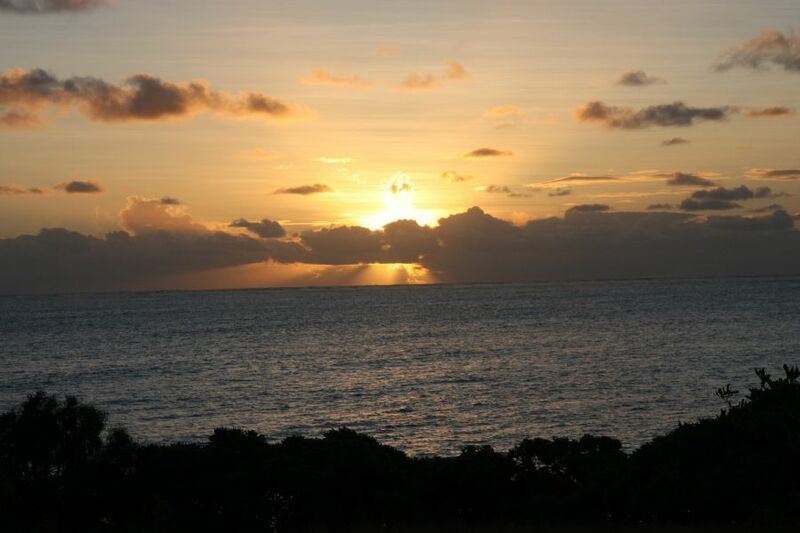 FT4JA Juan de Nova - F5UFX, F5CWU, F4BKV, F4FET, F6BEE, F1NGP, F2DX, F5PTM, F4HAU, EA3NT will be active from Juan de Nova Island (IOTA AF-012) 29 March - 11 April 2016 as FT4JA. They will operate on all HF Bands plus 6m. QSL via F5CWU, LOTW, OQRS, ClubLog. Flo MOUDAR, 26 rue Fleurie, 37330 Souvigné, France. Good propagation is back again on high bands, and that is of course an excellent news ! We are keeping as much stations on the air on the opened bands, staying until it close. We had excellent runs with NA west coast on different bands, we will continue to focus on difficult areas. Unfortunately we will have to work on the dismantling plan to match with the necessary high tide. Depending on the high wind these days this might makes things difficult for loading/unloading things with the zodiac, well keep fingers crossed. We plan to leave the island next Monday. More info with the remaining antennas day by day soon. Operators are tired by the long radio shifts and high temperature but are all still giving their best to put everyone in the log. We really appreciate the cooperation of everyone when we ask to QRX to give a chance to a special area. The next weekend we will concentrate on the band/mods with the most QSOs in the log to give all a last opportunity for an ATNO. Propagation seems to decrease from day to day. Signals on high bands are not what they were last week. Bands are also closing earlier. The last days we even had no opening with NA on 20, while the band stayed opened all night long the days before. More than ever this is the right time to send your observation to your local pilot. We take into consideration all useful comments to plan our activities. Good news, thanks to a better weather today, the 160m antenna has been fixed. At the time I’m writing this news, we are working on 10 – 12 and 15m with NA, we will stay until bands close. We have checked with W6 long path on 15m at 14-15z with no success, there is another opportunity tomorrow morning around 4z for the LP on 17-20m. For that night the plans will depends on the propagation on 17-20. But if possible we will work AS-OC, then EU, and finally NA/SA. Same as last night we will also be on 40-30- 80 and of course 160m. We try to upload logs as frequently as possible to prevent for dupes. The 15m plan with two stations all time provided many uniques with nearly 17 000QSOs on that band, with long openings world wide. We are focused to get you in our log, good luck ! 68243 QSO 18966 unique calls. There was no 160m activity last night because the 26m high vertical was de-tuned. As we explained before we got high gusts of wind yesterday and the wires of the capacitive hat moved and seems to be not at the right place. The wind dropped down a bit and we’ll try to fix that today. We made many QRX yesterday during the storms to fix several problems on the camp and protect our 3 generators. By chance, nothing has been damaged ! Right now 05:00z wind is still blowing but not at the same level. The tide has been very high yesterday and last night, with waves coming 20m closer than usual. This is positive for the VDA ! 80m was very noisy but we ran on that band a part of the night. Last night, when we changed the operators, there was a lot of lightnings all around the island. Still massive clouds in front of us this morning. Time to start operating for the fresh operators. See you on the bands ! Days after day the situation is different. Last night propagation was not as usual ! High bands closed very early with no conditions on 17 & 20m right after our sunset. Our hard work on low bands RX antennas has finally paid. Many QSO were achieved on 80 and 160m with all parts of the world, OC/JA, then EU and finally SA/NA including West Coast. We’ll do the same next night. During daytime we are focused on the high bands. The daily runs on 15m are providing a lot of unique callsigns, and we’ll keep a station on that band till the end of the operation. Life at the camp is going well. All operators are very tired due to extreme heat and sleep deprivation but still very motivated. We have extremely heavy rain since a couple of hours, as well as high winds. Up to now, all the equipment is ok and nothing has been damaged. Let’s hope the situation will improve quickly as our camp is not equiped to face such storms. As soon as possible we’ll call our skipper to ask for weather predictions. We’ll keep you updated about that point. We are trying to upload the log at least twice a day. Do not hesitate to check it on ClubLog and help us to prevent useless dupes ! all is going pretty well. We reached last night the 50K qso and we continue to run the pile-up that are at certain time of the day really big. We try to exploit the bands from their opening till the end of the propagation. This allow us to work all continents from East to West and log many unique callsigns. We have to report a lot of dupes in the log, despite of the online-log that is available on ClubLog. We ask you not to call again until the log is online in order to let a chance to the other stations. Last night was very noisy on low bands and even with RX antennas we met difficulties to pick up calls. We’ll keep our efforts every night up to the end of the operation. Weather is still good but heat is terrible in absence of wind. In the shelters we are well over the 50°Celsius during many hours of the day. This makes the operation complicated and we are taking regular short breaks to fresh-up a bit. To conclude we remind everyone that operator’s instructions have a real importance ! Fighting during 5 minutes to keep the pile-up QRX is a waste of energy and we would really appreciate a better cooperation. See you on the air if you did not make the contact yet ! 40597 QSOs 13090 unique call. Day 4 and first week-end. We have now entered in the daily routine of the dxpedition : operating, eating, sleeping. During the 3 first days we kept a daily rate over the 10K QSO. Up to seven stations are on the air simultaneously. It is not possible of course to keep them all the time active with 10 ops. We are managing operators shifts to activate as many of them during best propagation period. Like Tromelin in 2014, the best band seems to be the 15m. We try to keep one station on SSB and one on CW to maximize the chances and increase the number of unique callsigns. As expected, Europe is the most simple continent to work from here. We are doing our best to listen for Asia, Oceania and Americas everytime time the propagation allows contacts. Please do not hesitate to report informations to our pilots if needed. We improved a bit the RX system for 80/160m but theres still an issue in EU/NA direction. 2 phased pennants and reversible beverages have been installed. The one in direction of Japan is working fine. Already 800 stations have been logged on Top Band. We moved slighty our TX frequency because many reports have been received to complain about « fishing beacons» on 1820.5. Check around 1821 KHz. Few words about the life on the island. The radio camp consists of two tents on the north beach. The life camp is 25 minutes walk away on the southern part of the island. We are trying to minimize our moves as much as possible because with heat and mosquitoes, all is complicated ! 28465 logged 10182 unique call. RX antennas have been set today for EU/NA, JA & West-Coast. They will setup a 4 SQ for 40m tomorrow. Right now, only single vertical is running on 40m. They will move their TX QRG on TB. 1821.5 has been suggested. Waiting to get more info about noise they have to deal with. FT4JA 160m recording from Sakhalin Island. FT4JA on 160m recording by RA0FF. FT4JA Beacon on 6m on freq 50102. If you hear them please drop email to ads ft4ja@dxfor.me and after that you can call them. Hello from Juan de Nova ! After our trip by boat the finally anchored nearby the lagoon entrance. It took a complete day to bring all equipment ashore, dealing with low and high tides in the lagoon. We built the radio camp and antennas under extreme conditions. No wind at all during those first days. On night time, the temperature doesn't really decrease and we have thousands of mosquitoes showing up, looking for fresh meat. Hopefully the two tents are well done. The sea is close but very warm, with sharks coming very close to the sea shore. Prior to the expedition, we worked with satellite pictures. We met on the island a configuration slightly different than expected but we have been able to set-up all antennas as planned. The field around the camp is not a soccer field but rather a place with high bushes (arbustes, broussailles in french) that makes any move a challenge ! in addition, there's spider as big a man hand everywhere. That's Juan de Nova ! Meanwhile, the lagoon and sky colors are just amazing ! We started the operation yesterday around 1230 utc. We worked with as many station as possible around the clock, depending of the operators shifts. The life camp is located a mile away from the shacks. During the first 24h, we did a bit more than 10K qso. The first batch has been send to Clublog and should be visible on the online-log soon. Conditions are not too bad. We are meting a propagation close to our predictions. We always keep an eye on the planning not to miss any opening toward the "difficult regions of the globe". We ran on 160 and 80m without any RX antennas but we should have them tonight to cover all parts of the world. The 6m beacon is active. Do not hesitate to drop a mail to our pilot if you have informations to forward to the team. We are in touch through the BGAN terminal or via radio. The team is now focused on the pile-up. Thanks for your co-operation, see you on the bands ! FT4JA 160m recording by UT7QF. FT4JA 160m recording by RV9CX. FT4JA start activity on 15 and 12m now 12.40 GMT. We start disembarking at sunrise as planned. 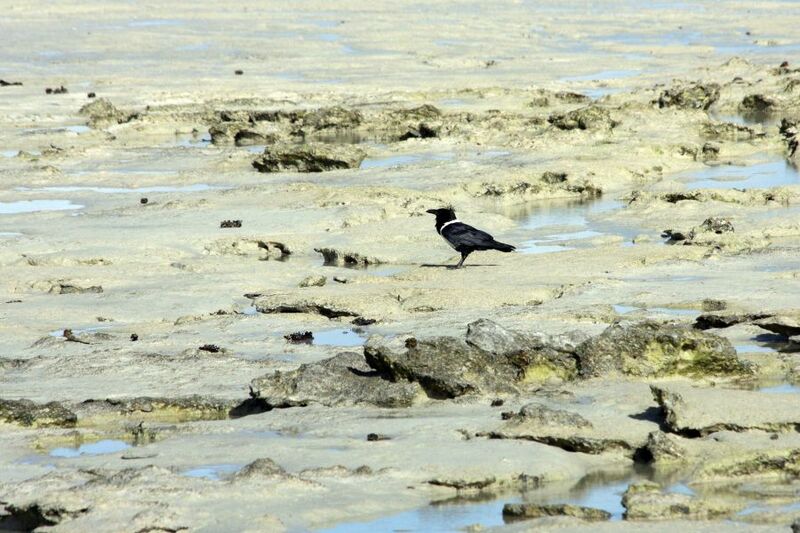 We have not been able to carry all equipment before low tide. Meanwhile, we started to setup the camp on the north side of the island, shelters are ready as well as most of the antennas. Tomorrow morning at SR we will complete the antenna setup as well the generators. We plan to start activity around noon. Conditions are extreme, very high temperature and no wind make progress difficult. FT4JA team landed on Juan de Nova island and setting up camp. This will take all day. Scheduled to start activity this evening Juan de Nova time. After 2 days aboard the « Antsivia » and almost 2000 qso as /MM, we are now anchored near Juan de Nova. As our documents indicates, we’ll be allowed to disembark tomorrow at sunrise. The team is impatient to put a feet on the island and start setting up the camp. The disembarking plan is already defined. We are a few hours before the departure. Yesterday, under a beating rain, we carried out the loading of our equipment on the boat. The 4 crates, sent by cargo one and a half month ago, were set at disposal at the right time by our forwarding agent. Once the documents signed by the customs agents of Mayotte, the team started to work. 3 hours were necessary to tranship all the equipment using the tenter boat. That gives a rather precise idea of the possibilities that we will have during the unloading, even if it should be underlined, conditions will be different because of the absence of harbour on Juan de Nova. The afternoon was devoted to the last purchases on Grande-Terre. We bought all last minute items that will help us to live in totally independently during two complete weeks. We will embark this afternoon around 14:00 (1100z) and it is envisaged to weigh anchor at 16:00 (1300z). Conditions are for the moment very good, with a sky partially veiled and a temperature of 34 degrees Celsius. We will activate in the next hours the GPS beacon which will enable you to follow the route of the ship and know its position in real time. We will use the time of the boat crossing to organize the unloading and define a coherent strategy to assembly all stuff. In addition, let us remind you that a convention was signed between the team and the TAAF agency which describe in a very precise way the plan of establishment of the antennas and list in an exhaustive way the prohibitions and restrictions imposed to our team. Our arrival on the island is envisaged the morning of the 29th. Then, we will spend a whole day to assembly of the antennas and the life camp, splitted on two distinct sites. Let’s hope that the conditions of propagation improve, so that each one can have the opportunity of hearing and contact us. Thank you for your messages, calls and encouragements. They are much appreciated. The team is very motivated to fulfill its commitments. After more than a year of work, we are happy to finally get into the thick of it. The team will be complete in Mayotte on Thursday around noon! The schedule for the coming days is pretty full, with the last purchases and technical checks and the loading of the boat. We will sail away on Saturday. Our chief pilot will communicate updated information on the unloading and installation. At this time, we hope to be on the air on the evening of March 29 after a full day spent assembling. As a reminder, we will use the band plan shared with our friends at VK0EK. Some windows are very narrow and we will have to live together in all understanding, without departing from the intended plan, at the risk of generating confusion and disruption between the two activities. The band plan is available on both websites. Our different pilots are available to transit informations to the team (JJ3PRT, ON9CFG, N5FG). The 10 operators will not have access to their personal emails and because of a lack of internet connection we will not be watching the DX-Cluster. No need to transit messages for us through that medium. The QSL manager is Flo, F5CWU. He will process OQRS and the direct QSL requests as well as the cards received via the bureau. The ClubLog OQRS will be active by the end of the operation. We strongly recommend its use. Later, the logs will be loaded on LoTW and eQSL. As part of our expedition on Juan de Nova island, we are pleased to announce that a stamp set will be issued by T.A.A.F. QSL cards sent direct will automatically have the envelope/stamp. We will unveil this commemorative object later. Everyone connected to the FT4JA project would like to thank all of you who have already contributed in one way or another to the project. It would not be at this stage without the tremendous mobilization of clubs, foundations and individual donors. The early donation program will be closed on Friday 25 at 1200Z. The “donors” page of our website will not be updated further after that specific time. The 8 other operators will join them later. We are filling the suitcases with all the sensitive equipment that has not been shipped on the crates. Each piece is carefully checked. On the other hand, we are working on the last details. We just released a webpage dedicated to 6m operation which gives all details for TEP and EME contacts tentatives (Earth-Moon-Earth). Our pilots received a bunch of reports regarding 12 & 17m RTTY frequencies. Because it was not our first aim to activate these slots, we have decide not to work RTTY on these bands and keep the focus on 30/20/15m to maximize the number of unique callsigns worked.The band plan has been updated. On the main page of the website, we just uploaded a short video called « we are ready » with a message to the international amateur radio community. We are preparing a communication about the QSL and logs. These informations will be published on the website before our departure. Last month, we reached a milestone with the shipment by sea of our equipment which marks a definite point of no return for the project both for logistical and financial support. Each element has been extensively tested in real conditions in order to overcome any bad surprise, then conditioned to simplify its installation. In total, just over 1,200 kg of equipment are engaged in this adventure, complemented by what is brought by the 10 operators reaching a total of almost 1.5 tons. Departure for Juan de Nova is expected on 26 March. To do this we have carefully looked at the propagation conditions. These will of course be updated closer to the departure to maximize them. For Tromelin, they had proved fairly accurate, even for short openings LP and other peculiarities. A schedule such as this one (FT4JA Planning) will be displayed in front of each station and will be the score to play for the operators. Not surprisingly, the areas under the best conditions will be Europe and Japan followed by the east coast of the US and Oceania. To conclude, the most difficult area to work will be the west coast of the US. We will follow these schedules so as not to miss any opening, with priority for those benefiting from shorter openings. This is what we announced and this is what we will do. We rely also on the cooperation of all of you. We invite you to send now your information to the pilot station dedicated to your area. There is still time to make the necessary adjustments. Once there, our pilots will be the only contact persons. We will be sent daily compilations of your comments to adjust our operation if need be. Finally, let us remind you that the band plan coordinated with VK0EK is available on our website. The success of these two concurrent projects will rely on your understanding of this band plan and how you stick to it. Only one thing has changed since our initial announcement: we will have 7 stations instead of 6, which you will admit, is a good thing except for our sleep! Thank you to all those who continue to support us through a donation. It is important that the mobilization continues. Rememberthat all donations above or equal to €/$25 will allow you to receive the QSL card direct automatically. Our efforts to reduce the budget are important. However, wishing to offer a service worthy of the event, the expenses that we face remain very high. A forthcoming communication, a few days before departure, will detail the practical aspects, such as real-time monitoring, online log, OQRS, QSL manager. Until then, you have a few weeks to prepare your antennas and your station! We are very busy on a daily basis to deal with different topics. Stress steadily increases, but not as much as the motivation that drives our team! We are extremely glad to receive donations for our project. Everyone is now well informed that Top 10 DXCC countries are not easy to activate, sometime because of difficult access, their political situation or extremely high budget needed to organize an expedition. Juan de Nova has been for a long time in the list of these islands activated regularly by scientists, mostly members of the french meteorological agency and sometime by militaries. The last important activity was in 2001. Nearly 14 years of silence for an island located in the indian ocean, not very far from other very common DXCC entities. 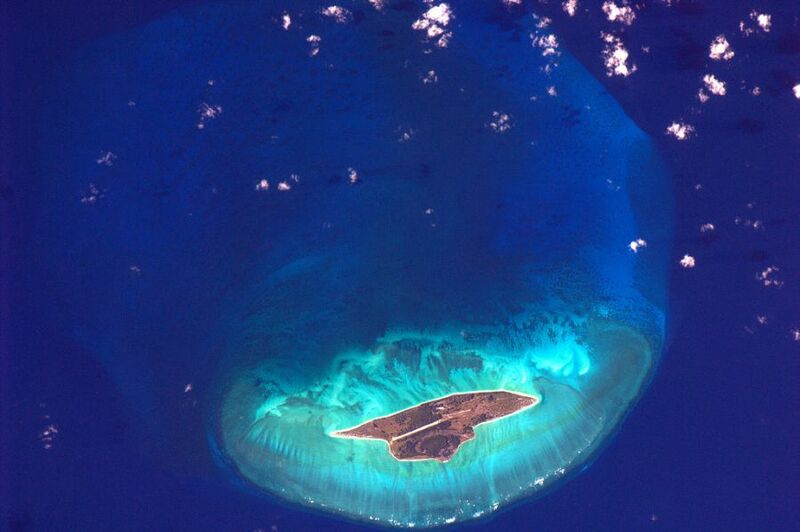 It is true, this small island is about 100km from the western coast of Madagascar ! So, why is it so complicated and expensive to go there ? Well, first of all, it is a question of obtaining a permit. 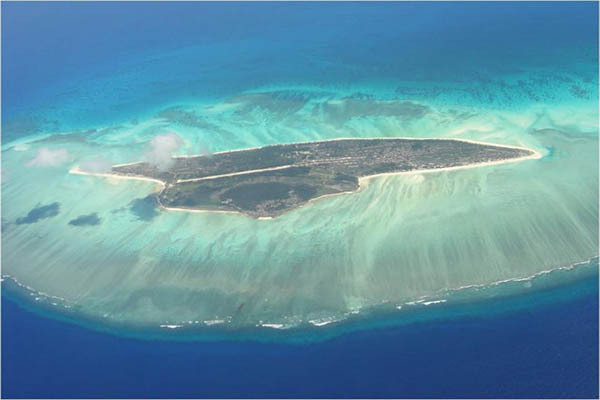 Like other island, JDN is administered by a separate administation in charge of these lands. Most of them are natural reserves to keep these places as wild as possible. These territories are often regarded as reference (level 0) in term of human impact.. 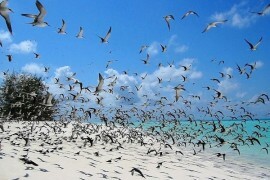 Millions of birds can lay in peace, just like the turtles. It would be a nonsense to authorize expeditions each year or a regular human presence. After our 2014 operation from Tromelin, the TAAF administration decided to accept our permit request, probably because of the mutual confidence and the very positive relationship established. From one place to another, the constraints are differents and we had to reconsider a certain number of aspects of the operation. Air transport used in 2014 was not possible, in particular because of the volume/weight of freight to be transported. The assistance received (transport of the crates prior to the operation) for Tromelin was not possible this year. Consequently, we had to book a maritime solution by requesting a ship authorized to station in the lagoon and to transport us. It represents, with the various taxes approximately 70% of the budget. The cost of our energy autonomy is also important since we must convey several generators and electrical installation as well as the fuel (10-15%). For an operation of this size, these expenses are not easily compressible, more especially as we need to respect precise conditions, to which we will not derogate. On the other hand, we tried to optimize our expenditures and purchases as well as possible and to employ as much as possible personnal equipments available or lent by our generous sponsors. Although the team (10 operators) finances a good part of the expedition, which is completely logical, we launched an appeal towards fundations, clubs, associations as well as individual DX’ ers. It is undeniable that this mobilization made it possible to advance in the organization and that without this one our expedition would have remained at the state of simple project. With you, contributors, sponsors or member of one of associations/clubs/foundations which help us, we draw you a great praise. On the various continents, the mobilization needs to go on to keep supporting our team but we are already very proud and happy in front of as many generosity and expressions of sympathy. Who said that Ham Spirit did not exist any more? FT4JA. Where Juan de Nova Island is located. Map. When are QSLs going to be SENT OUT FOR YOUR OPERATION IN APRIL 2016??? When are you guys planning on sending out OUR QSL CARDS FOR YOUR OPERATION??? Its been 2 MONTHS NOW???? Are you going to give Oceania a chance for an ATNO? Club log reports that OC makes up just 0.9% of contacts. Is it possible to point the beams to OC at a time when we actually have propagation? Thanks and 73. Finally broke through the pile ! Worked FT4JA on 18.145/18.155. Thanks guys for picking me up! It was tough getting through the pile on 200w and a Gap Titan vert. Good luck through the rest of the DXpedition! Worked 2 times. SSB and CW 40m band. ATNO. Now 305 for DXCC running. 73 from PY3KN! In three months, FT4JA will be on the air. The exact dates of the operation were confirmed both by the authorities and by our skipper. We will be there from March 29 to April 11, 2016. These dates include the unloading and loading phases. For nearly a year, we have been working in detail on every aspect of the operation. While it is unrealistic to think that we have everything under control in such an adventure, we make sure to have alternative solutions to overcome any deficiencies while controlling our expenses. In early January, the 4 crates of equipment will be shipped to Mayotte, which will again be our starting point. Part of the team will be on site a few days before loading and a few days after our return to manage, if necessary, last minute details. For now, we are in the process of finishing testing the hardware and are packing it for transport to optimize the time of loading / unloading. Each well-anticipated subject will be extra time at our disposal there. Our luck with FT4JA is that we are able to rely on a more robust team than last year with Tromelin and over a period of operation extended by a few days. We will benefit from these two “bonuses” by being able to make more contacts and allow more of you to contact us. Furthermore, we officially welcome EA3NT, Christian, who has joined the team. His many experiences on islands around the world, many with members of the group, will be an asset. Budget Judging by the support already received, the popularity of our operation is palpable and shows tremendous expectations. Many clubs and associations have confirmed their support and we thank them. Other solicited clubs are still studying our request. Our pilot for Asia, Joe, JJ3PRT, has surrounded himself with a team to mobilize the JA community that is fully invested in the project. Arigatoo! The other countries are not far behind. We record a great generosity on the part of hams around the world and cannot but be touched by this needed mobilization. Remember that anyone with a donation of €/$ 25 or more can automatically receive confirmation of contacts directly to their mailbox. If the pace of donations continues, and in the absence of unforeseen expenses, we are confident to complete the budget of our operation by April. Bandplan Following the change of dates of the expedition to Heard, most wanted DXCC countries # 4 and # 5 will be on the air at the same time! To minimize problems on the bands, we suggested to the VK0EK team to adopt a common band plan to share the segments on the different bands, taking into account the specificities of each region. Each of us will benefit in terms of clarity and efficiency. It is available on our website. Again, all comments are welcome now through our pilot stations. 50 MHz The period during which FT4JA expedition will take place is conducive to 6m. We will be in effect during a period of trans-equatorial propagation (TEP), which suggests many QSO on the magic band. We have planned some 50 MHz high-performance equipment including a dedicated station consisting of a DXBeam 6 element Yagi, an Elecraft K3, and an SPE Expert 1.3 KFA amplifier. The team will also include several operators that usually practice DX on this band and therefore know its subtleties. The 6-meter station will operate mostly in a CW beacon mode (“CQ FT4JA”) whose frequency will be published in our plan. As our satellite internet access will be very limited, we cannot monitor the cluster. We will switch to a transmitting position (CW or SSB only) as soon as we hear someone respond. It is a method that has already proven its worth, particularly on Tromelin. In an attempt to satisfy everyone, and because the technical challenge is very motivating, we also plan to try EME (JT65). Despite limited resources to work stations via the moon, it will be a first from Juan de Nova. It is important for us to satisfy the greatest number, and having real ambitions on 6m is part of the adventure. However, to be consistent with our key objectives, our 6-meter QSOs will be in addition to the rest of the contacts and not to the detriment of our presence on the HF bands. In conclusion, we wish good luck and good contacts to our friends at VP8STI/SGI and K5P who will open in early January the “party” of the Top 10 DXCC DXpeditions planned for 2016 Soon new information will be provided. Would love to see someone do Crozet.